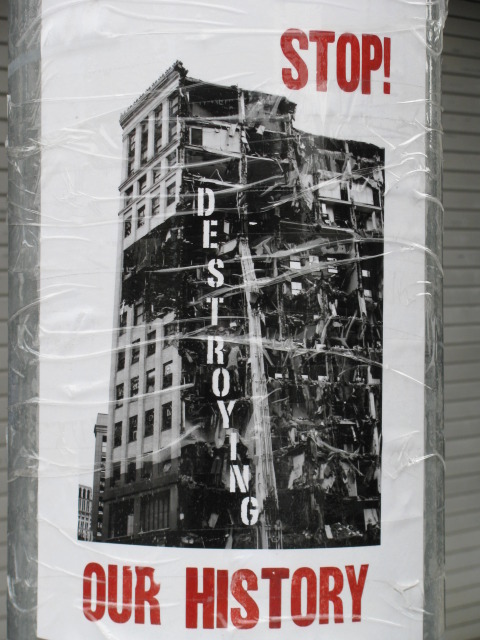 The Lafayette Building (144 W. Lafayette in downtown) was demolished last year when George Jackson of the Detroit Economic Growth Corporation decided that there are too many jobs in Detroit. 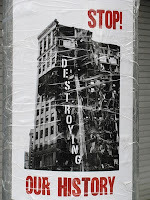 Since then, someone has been posting flyers around Detroit protesting this demolition. I don't know who has been doing this. All that I know is that I want to give him or her a hug.